This convention bans acts committed with the intent to destroy, in whole or in part, a national, ethnic, racial or religious group. It declares genocide a crime under international law whether committed during war or peacetime, and binds all signatories of the convention to take measures to prevent and punish any acts of genocide committed within their jurisdiction. The act bans killing of members of any racial, ethnic, national or religious group because of their membership in that group, causing serious bodily or mental harm to members of the group, inflicting on members of the group conditions of life intended to destroy them, imposing measures intended to prevent births within the group, and taking group members’ children away from them and giving them to members of another group. It declares genocide itself, conspiracy or incitement to commit genocide, attempts to commit or complicity in the commission of genocide all to be illegal. Individuals are to be held responsible for these acts whether they were acting in their official capacities or as private individuals. Signatories to the convention are bound to enact appropriate legislation to make the acts named in Article 3 illegal under their national law and provide appropriate penalties for violators. People suspected of acts of genocide may be tried by a national tribunal in the territory where the acts were committed or by a properly constituted international tribunal whose jurisdiction is recognized by the state or states involved. For purposes of extradition, an allegation of genocide is not to be considered a political crime, and states are bound to extradite suspects in accordance with national laws and treaties. Any state party to the Convention may also call upon the United Nations to act to prevent or punish acts of genocide. 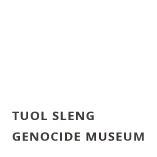 The remainder of the Convention specifies procedures for resolving disputes between nations about whether a specific act or acts constitute(s) genocide, and gives procedures for ratification of the convention. As of November 2015, 147 states have ratified or acceded to the treaty.